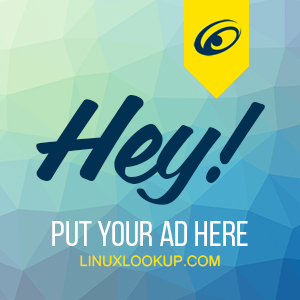 LinuxLookup has been a popular destination on the Internet since 1999. Though direction of the site has changed over the years, our focus still remains on Technology, Open Source and Linux. According to user surveys, our audience consists of tech-savvy early adopters, entrepreneurs, developers, industry professionals and highly engaged enthusiasts. The site is also favored by general consumers, Open Source hobbyists and novice users seeking assistance or advice — an increasingly influential demographic. We hold a wide variety of first result keywords in organic search, along with thousands of backlinks from sites including .EDU domains and an exceptional Google PageRank. All enticing for credible marketing campaigns. Current marketing opportunities are listed below. For advertising campaigns with custom requirements, please contact us, we’d be happy to work together to get the word out. This exclusive advertisements is non-rotating, includes unlimited impressions and translates into an extremely low cost vs. traditional CPM. Premium advertisement is limited to one (1) placement and will appear on your choice of main index, subsequent pages or the entire site. Works out to be only $9.30 per day! These advertisement slots are non-rotating, includes unlimited impressions and also translates into an extremely low cost vs. traditional CPM. Insertion is ascending by date purchased and renewal of your banner will result in more prominent placement on top of others. Regular advertisements are limited to four (4) placements on the site and appears on every page. Works out to be only $6.60 per day! Don't have a graphical banner? We can design one for you, feel free to inquire.